Australian chef Ehren Ryan is thrilled to see two years of plans and dreams come to life before his eyes on the corner of Main and Essex streets in downtown Millburn. 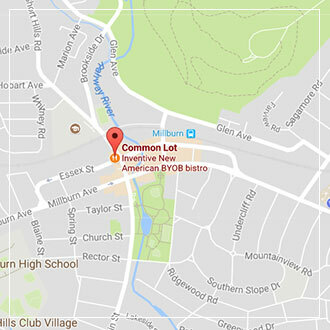 After spending more than a decade cooking in kitchens around the world, the innovative chef has put down roots in Chatham and anticipates his new casual yet upscale restaurant, Common Lot, opening its doors (and breaking out the liquid nitrogen) in late winter or early 2016. 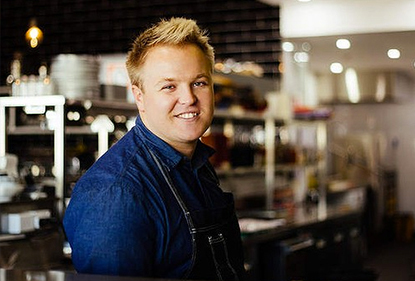 So, just how does a chef from Sydney come to hang up his toque in Essex County? Ryan’s parents live in the area, and while visiting them over the years, he says he came to view Millburn as the perfect spot to establish his restaurant.